Indian Postal Circle Gramin Dak Sevaks Jobs Notification 2018 Released. Postal Circle Recruitment 2018-2019 Apply Online Application Form for 2286 Gramin Dak Sevaks Posts through Official website www.appost.in. The last date for submission of online applications is 24.05.2018. Prospective candidates will have to apply before carefully reading the advertisement regarding the process of examinations and interview, eligibility criteria, Offline registration processes, payment of prescribed application fee/intimation charges, AP Postal Circle pattern of examination, AP Postal Circle Syllabus, AP Postal Circle Question Paper, AP Postal Circle Admit Date Release Date, AP Postal Circle Exam Date, AP Postal Circle Result Date etc. the stipulated criteria before Applying online. Candidate who desires to apply online will have to register himself / herself in the portal throughhttps://indiapost.gov.in or http://appost.in/gdsonlinewith the basic details to obtain the Registration Number. Candidates already once registeredin http://appost.in/gdsonline need not register again. The same registration number should be used for submission of application. Any candidate who forgot the registration number can retrieve the registration number through option ‘Forgot registration’. 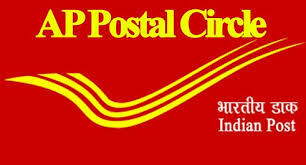 WBPC-West Bengal Postal Circle has issued a notice to invites applications (www.indiapost.gov.in) against 5778 Vacancies of Gramin Dak Sevak Posts. The Eligible Candidates with the required eligibility criteria are invited hereby for filling and submitting the online application form for the current openings on or before the closing date (4th May 2018). Department of Postal Circle Recruitment Notification 2018-2019, More details related to the West Bengal Postal Circle Recruitment 2018 such as education required, age limits, selection process, how to apply etc. The age of Appliers should be between 18 to 40 Years As on 05-04-2018. Selected Candidates will receive salary of Rs. 2295 – 3695/- (GDS Packer, GDS MC), Rs. 2665 – 4165/- (GDS MD), Rs. 2745 – 4245 (GDS BPM) and other benefits as per West Bengal Postal Circle Policies Circulars. Application Fee is exempted for Women/SC/ST/PH Candidates. The selection of contestants who are participating under West Bengal Postal Circle Recruitment 2018 shall be through the Merit List. First and Foremost step is to visit the Official website that is www.indiapost.gov.in.